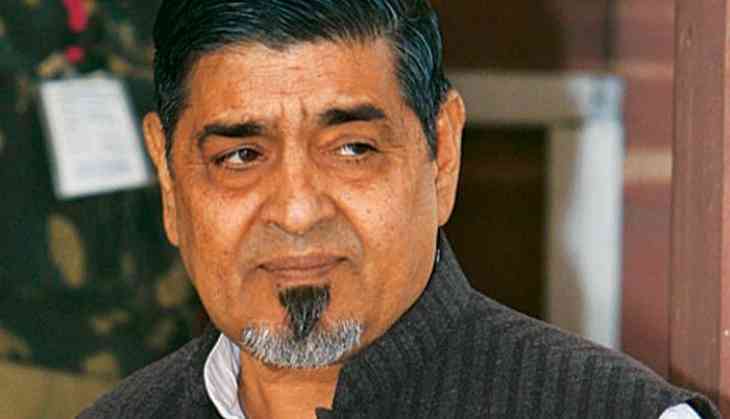 The Bharatiya Janata Party (BJP) on Monday came down heavily on the Congress after its senior leaders and accused in 1984 anti-Sikh riots, Jagdish Tytler and Sajjan Kumar were seen at the protest staged at Rajghat. "Rahul Gandhi had come to spread non-violence, but his own party's violence was unmasked at Rajghat," BJP spokesperson Sambit Patra said at a press conference. Both the Congress leaders left the stage which sparked speculation that they were asked to do so. "The fact that Jagdish Tytler and Sajjan Kumar had to leave from Rajghat today proves that Congress party accepts its guilt", Patra remarked. Patra also termed the party's protest and hunger strike over atrocities on Dalits, as a farce. "We can see how Congress party has made a farce out of a fast. Today they are crying fake tears for Dalits. Did Rahul ji renounce even one meal of his day when Dalits were killed in Mirchpur, when Jagdish Tytler and Sajjan Kumar were getting innocent Sikhs ruthlessly murdered in 1984 riots?" he questioned. Patra claimed the Congress had a history of practicing appeasement politics and added that now the name of Dalit leader BR Ambedkar was being politicized by the party. "The same party that killed (BR) Ambedkar ji is now trying to politicize his name," he said, adding that Ambedkar resigned from then prime minister Jawaharlal Nehru's cabinet because of the Congress' appeasement politics. The BJP leader also produced Ambedkar's six-page resignation letter to attest to his claim. Earlier in the day, Rahul Gandhi led the protest and hunger strike over atrocities on Dalits, at the Rajghat, where he shared the stage with Ajay Maken and former Delhi Chief Minister Sheila Dikshit. Tytler and Kumar left the stage and sat with the Congress workers, but denied that anybody asked them to leave the stage.